Everyday Fragments is be based on two projects – The Most Beautiful Day of My Life (2007-2009) and Inspired by life (2010-2011) – and on a work realised in collaboration with Jen Kennedy and Liz Linden. 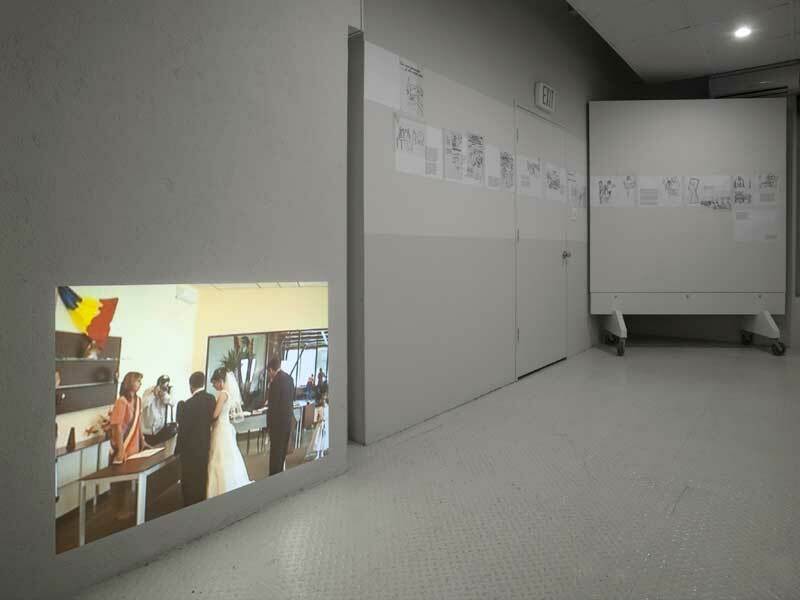 By different means such as texts, drawings, photography, video and objects, the exhibition explores questions such as: “What does it mean to be a feminist in the context of global capitalism?”, “How is dominant ideology shaping every aspect of life and how can small, everyday gestures be the basis for a meaningful resistance to this process?”. The project wishes to reflect on the possibility to affirm a multifaceted feminist position, which is defined in a process of collaboration and that takes into consideration the importance of connecting theory to everyday practice. Taking as a starting point the case of one shopping mall in Timisoara (Romania) where all civil marriages in the city are performed, and also using other different examples of gendered consumerism, the work The Most Beautiful Day of My Life (2007-2009) reflects in an essayistic tone on the ways in which heteronormativity is performed and ritualized in a public space that is more and more taken over by consumerist practices. 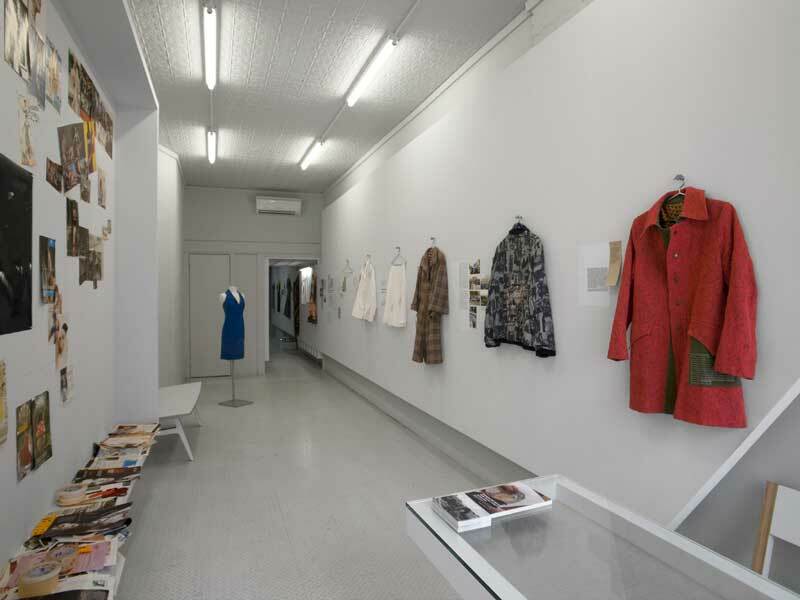 Inspired by life (2010-2011) consists of a clothing “collection” that uses dresses as vehicles for ideas about body, memory of the communist past in h.arta group’s native Romania, precariousness and possibilities of resistance. The concrete objects resulted from the project – clothing items – are accompanied by text fragments, quotations, photos and drawings. The project’s starting point is informed by the group’s practice in general, such as condition and potential of feminist stances in a global capitalist society, as well as concrete things, ideas, images, situations they find in the context of different cities and during a variety of encounters. For the exhibition at Ludlow 38, h.arta group has developed a new work in collaboration with Montreal-based writer Jen Kennedy and New York-based artist Liz Linden. Parallel Readings (2011) is the result of an ongoing e-mail exchange of images, articles and advertisements/ taken from mainstream women's magazines in Romania and North America. The magazines generalize the post-feminist stance and present feminist struggles as outdated, associating the freedom of women with consumerism, individualism and embracing traditional gender roles. In connection with this new work, there was a playful, informal event during which visitors were invited to discuss how different historical legacies (state feminism in Romania of the 1950’s and 60’s and the social movements in the North America around the same time) led to similar globalized post-feminist stances in the mainstream media. The discussion also explored the possibilities for meaningful and relevant feminist position/s in the global context we live in today. All photos copyright Mikolaj Szoska.